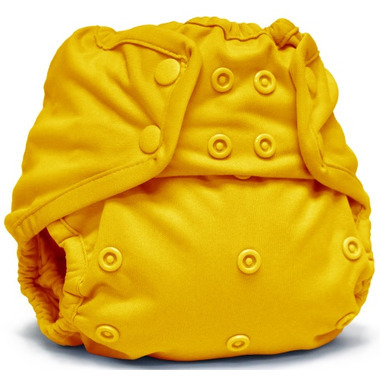 This is a great diaper cover but it is not truly a one-size design. My baby is 9 pounds and it's just too large at this point, so I'm guessing we will wait a month or two before we can use it without a lot of bulk. It's great quality though and I look forward to using it once it fits. The colour in the picture is accurate.